Scottish Kilt – What are the Best Scottish Kilts For Sale? Trying to select the best Scottish kilt can be rather difficult, simply because of the numerous different styles of kilts available, and because of the hundreds of different tartans which a kilt can come in. Because the kilt originated in Scotland, many people think by buying a Scottish kilt is the most authentic. Read our guide below as we check out some of the best Scottish kilts currently for sale. As you probably know, the kilt is the national dress of Scotland, and is instantly recognizable by people throughout the word. The kilt originated in the 16th century, and the kilt is highly symbolic to the people of Scotland, as many Scottish warriors fought battles in their kilts, and as a result, the kilt symbolizes patriotism. The term “kilt” was coined as a derivation of “kjilt”, which is a Norse word which refers to “pleated”, and has connotations to a piece of clothing that is wrapped around the waist of the wearer. In the 16th century when kilts first came into use, they were worn in the “Tartan Wrap” style as a full length garment (normally worn by the men of the Highlands), as opposed to the more modern kilts we see now, which are wrapped around the waist and come down to the knee. As we moved in the 1700’s, the kilt became part of the formal uniform of the British Army. 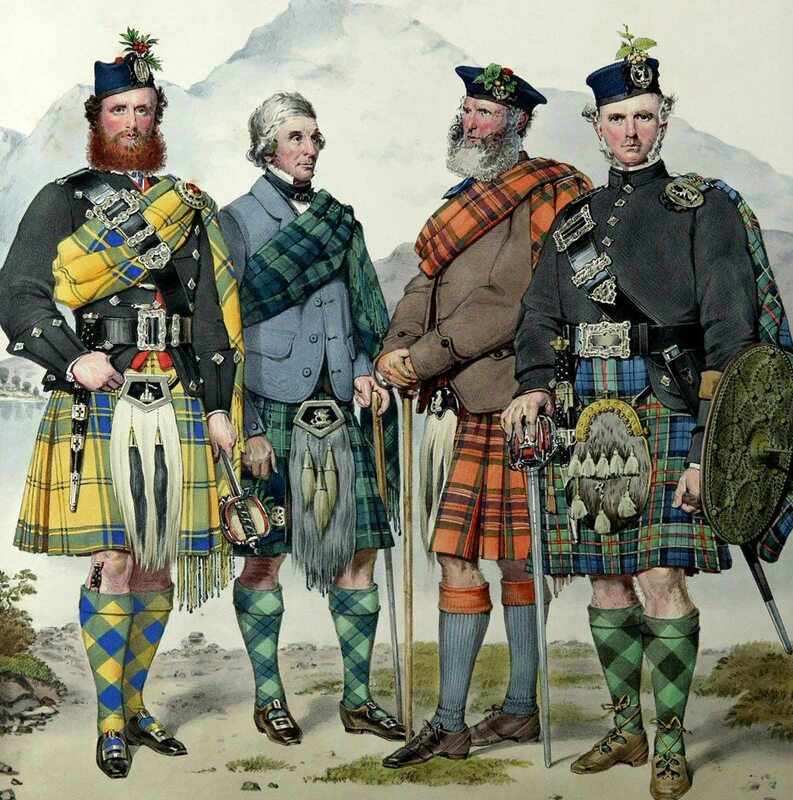 The “Modern Kilt” started to come more into the fore in the early 1800’s. If you were to take a look at some of the earliest Scottish kilts, you will notice that they were quite dull. Why was this? Well, because dyeing techniques were not as advanced as they are today, it was difficult to attain the vibrant colors which you would most associate with today’s kilts. As we entered into the late 19th century, we saw more tartans being developed which offered these tartan designs, which have become synonymous with the kilt. The “Great Kilt” then evolved from the tartan wrap, and it was at this time where the kilt started to take on historic cultural significance. Those who wore the “Great Kilt” during this time wore it as a sign to others that they were affluent. This style of kilt then lead to the garment being worn in as a “belted plaid” around the waist. The belted plaid was fairly common up until the early 1800s among the men of the Highlands, who mainly wore them for more formal occasions, instead of being worn day to day. Women at this point started to wear the “arisaid”, which was a female version of the kilt. This was generally a garment that was worn as far down as the ankles, and was made of white tartan with a pattern sometimes included. After this, the “small kilt” came into prominence. 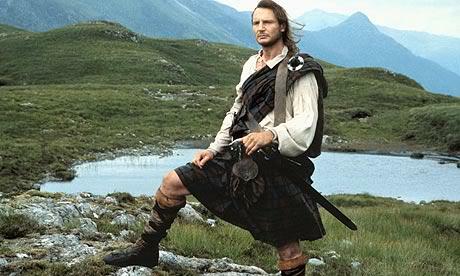 The “small kilt” was also known as the “phillabeg” in Gaelic. The “small kilt” can basically be described as the lower half of the “great kilt”. The “small kilt” was traditionally worn rather loosely, in pleats, and belted around the wearer’s waist. The “small kilt” was commonly worn just above the knee, and sometimes there was some cloth left over which could be seen over the top of the belt. In the mid 1700’s, the wearing of the kilt was banned by King George II in act passed in 1746. It was seen by many that by banning the wearing of the kilt, it would be easier for him and his troops to identify the Jacobites in order to kill them. As a result, the phillabeg kilt was worn as a form of protest towards the oppression that the Scottish were living under because of the English government. Fortunately, the ban on the kilt was overturned in 1782. It was then that the kilt became a symbol of Scottishness, which remains to this day. The traditional kilt that was worn during these times gradually developed with unique kilt patterns to identify different clans. As of 2017, there are over 3500 different tartans available, each with their own story to tell. The tartan pattern of the kilt must be made unbroken, so it can take anywhere from 20-24 hours for a kiltmaker to make a kilt. In the early 1800’s, the phillabeg kilt that we described above made way for the “modern kilt”, that we see today. So, what is the difference between the “modern kilt” and the “phillabeg kilt”? Basically, the pleats of the “modern kilt” are sewn down, unlike the “phillabeg kilt”. The kilts for sale we see today have approximately 29 pleats, and are made with 8 yards of material. The length of the material can vary based on the measurements of the wearer. Kilts today are generally worn in weddings and for special family occasions. Casual kilts are also worn by supporters of Scotland when they travel abroad. Within Scottish sport, the kilt is worn during the Highland Games, as a mark of respect to the historical nature of the games, and to ensure traditions are followed moving forward. The future of the Scottish kilt is bright, and by finding out more about the kilts history, I’m sure you can appreciate the cultural significance of the Scottish kilt. We also have a range of Irish kilts aswell if you have some Irish connections.